Sony Xperia XA2 Ultra has been in the rumor mills since September 2017 when the then Sony H4233 appeared on benchmarking platform GFXBench. 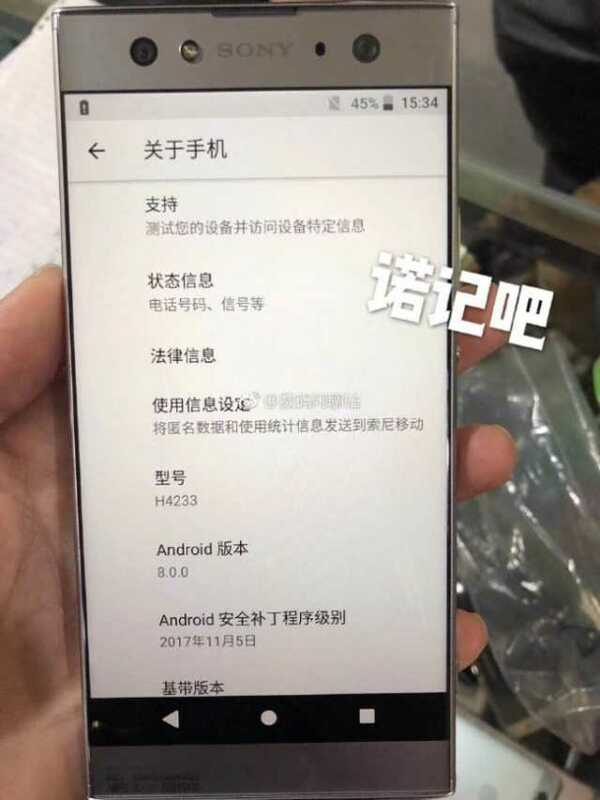 Not so long ago, the first real details of the phone emerged via Malaysia’s SIRIM product certification body, confirming that model number H4233 (also H4213) is indeed for the upcoming Xperia XA1 Ultra successor. As usual with such product certification systems, there wasn’t much on the show, but today, we have the first real images of the Sony Xperia XA2 Ultra, which give us a look at the phone’s design language. While there design of the XA2 Ultra looks largely the same as the XA1 Ultra, there are a couple major changes – the fingerprint scanner is on the back panel and the front panel gets a dual selfie camera and keeps the LED flash as well. As expected, the device looks huge in size, adding more weight to previous benchmarks that pointed to a 6-inch full HD display screen. Hardware-wise, the same report revealed a Snapdragon 630 SoC, 4GB RAM and 64GB of storage, which should be expandable. The main camera is expected to sport a 21MP sensor and while the benchmarks only revealed a 15MP selfie camera, this should only be the main selfie sensor. Apparently, both cameras will support up to 4K video recording and software-wise, Android Oreo will run the show out of the box. 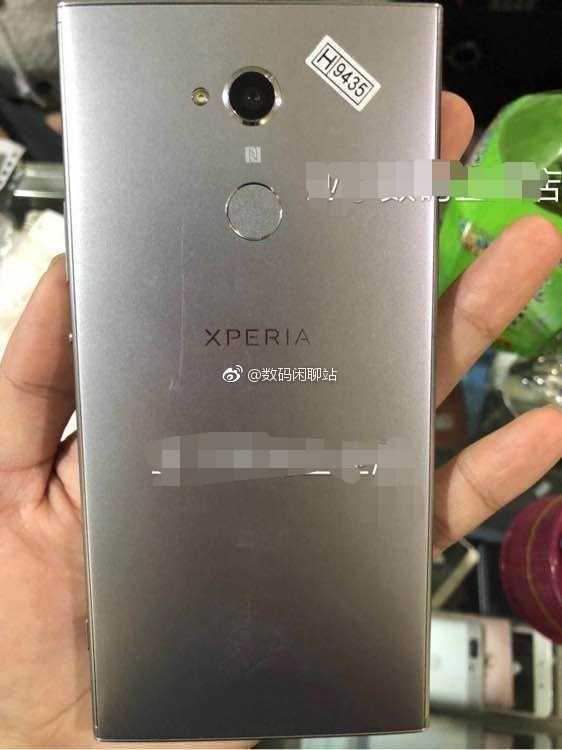 Sony is rumored to be working on phones with thinner bezels, but from the leaked images, it seems the Xperia XA2 Ultra will not be one of those beneficiaries of the new design. One thing that is obvious, though, is that this phone is targeting selfie lovers who will not only enjoy the quality images, but also the beauty of viewing the images on the large display screen. Sony is expected to attend the MWC 2018 and it’s possible that this is where the Xperia XA2 Ultra will be unveiled alongside successors to last year’s Xperia XZ Premium and Xperia XZs.